contain Iran’s nuclear ambitions, he will have made the world safer and may be regarded as one of the most successful presidents in history. There’s one bizarre idea here and one….other idea. The bizarre one is the notion that a war with Iran would cause the economy to improve. It wouldn’t. War with Iran would cost us — at most — about 1% of GDP, and this would have essentially no effect on economic growth. This isn’t a multi-year, two-front, full-scale national mobilization we’re talking about here. On the other hand, it would cause a massive spike in oil prices as Iran’s oil went off line (or traders began to fear it would go off line), and that would almost certainly be really, really bad for the economy. So everyone should just give up on the idea that even if an economic boost isn’t a primary reason to go to war with Iran, it’s at least an argument in its favor. It isn’t. 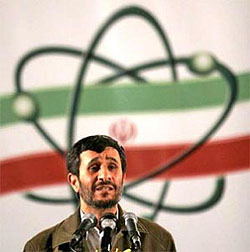 So then: what about the idea that “Iran is the greatest threat to the world in the young century”? A lot of people seem to agree with this, so it’s not right to call it bizarre. It is, however, a sign of the times that a major, supposedly centrist newspaper columnist can treat such a statement so cavalierly. I mean, whatever else you can say about Charles Krauthammer, he’d at least write a few paragraphs about why Iran is so dire a threat that we should go to war with them. Broder just tosses it off casually. This does not bode well for the idea that our ruling class has learned any useful lessons from our adventures in Afghanistan and Iraq.